Chicago, 1944. Liz Stephens has little interest in attending a USO club dance with her friends Betty and Julia. She doesn't need a flirtation with a lonely serviceman when she's set to marry her childhood sweetheart. Yet something happens the moment Liz glimpses Morgan McClain. 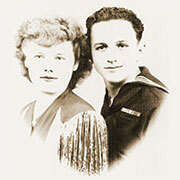 They share only a brief conversation—cut short by the soldier's evident interest in Betty—but Liz can't forget him. 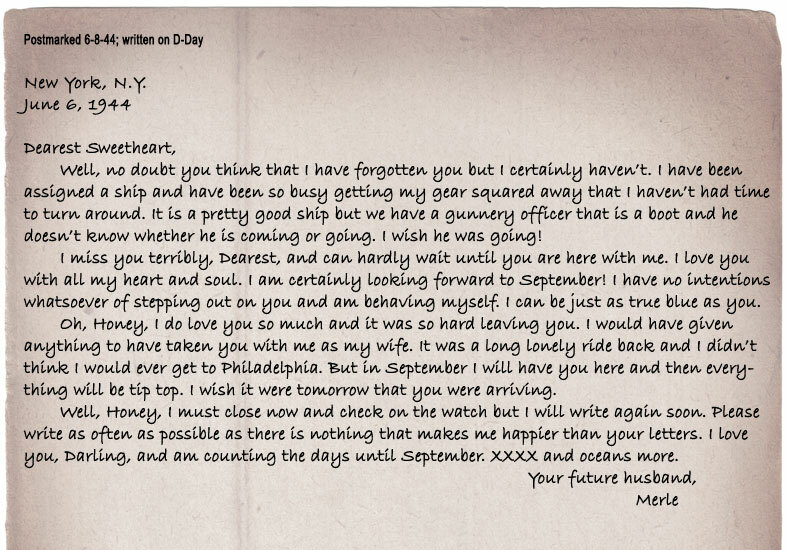 Thus, when Betty asks her to ghostwrite a letter to Morgan, stationed overseas, Liz reluctantly agrees. During a weekend visit several years ago, I interviewed my maternal grandmother for the biographical section of a self-published cookbook intended as a Christmas gift for the family. 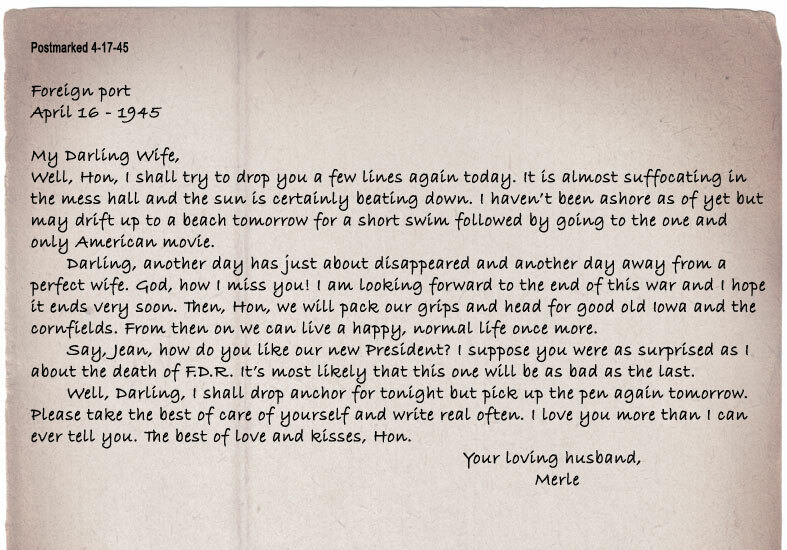 It was then that I learned that she and my late grandfather had dated only twice before they married during World War II, and that their relationship had developed almost entirely through an exchange of letters. She then pulled from her closet the sailor's yellowed and wrinkled pages, each filled with the heartfelt words of an eighteen-year-old farm boy who didn't know if he would ever make it back. On the drive home, I began to wonder how well you could really know someone through letters alone. What if my grandparents had been less than truthful in those pages? But then I tucked the thoughts away, where they quietly simmered for years until a 1940s film brought them back into focus. Soon I had the premise for what would become my first novel, my own love letter of sorts to an incredible generation we're losing much too quickly. 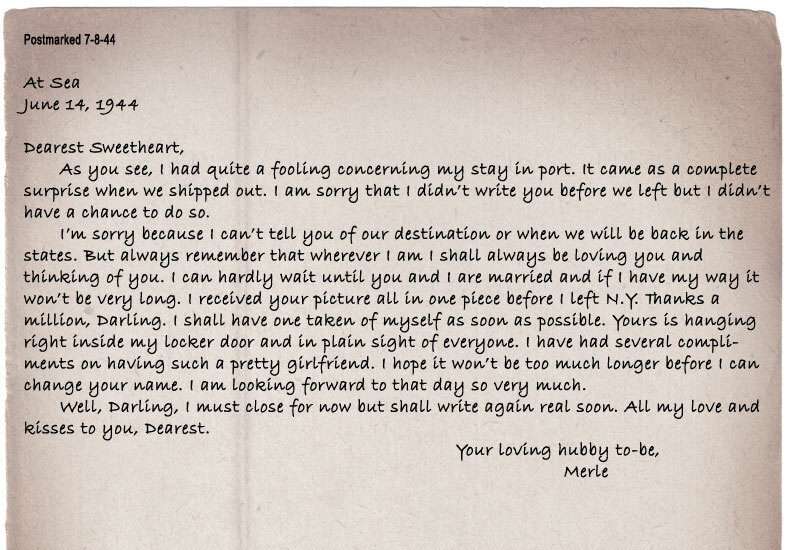 With Grandma Jean's blessing, here are a few excerpts from courtship letters sent by her beloved late husband, Merle McPherren. Little did he know that sixty years later the messages he penned during his wartime naval service would change his granddaughter's life as well. "An absolutely lovely debut novel filled with endearing characters and lively descriptions. Fans of World War II romantic fiction will definitely enjoy this fast-paced story." "This sweeping debut novel, told through letters and alternating points of view, is ambitious and compelling...will appeal to historical fiction fans hungry for a romance of the 'Greatest Generation.'" "This poignant novel digs deep into the emotional and physical effects of war and is well written and well researched." "An absorbing debut, combining the emotional power of The Notebook with the stirring history and drama of Saving Private Ryan. Kristina McMorris gives us a novel to savor and remember." "Propelled by the epic sweep of world war, yet warmed by intimate human moments, this story will linger in the reader's memory long after the last page is turned." 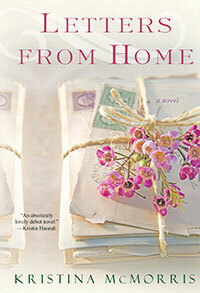 "McMorris gives readers a poignant and resonant 'Greatest Generation' story of love and loss during wartime." "A tough book to put down! 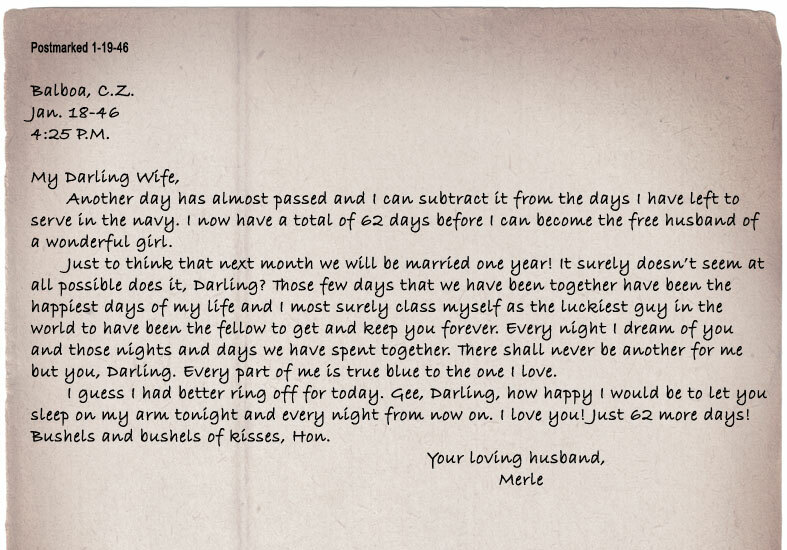 Sprinkled with fabulous historical detail of the WWII era and true-to-life characters, Letters from Home is a beautifully told story." "A gripping and memorable story, it is a timeless lesson in love and loss and the moments that shape our lives." "This is a debut novel for McMorris, who writes of the people and the period with a great deal of insight and compassion." "Interspersing unflinching images of combat with more intimate, emotional scenes personalizes this historical period and will touch your heart...I enjoyed this book from beginning to end."